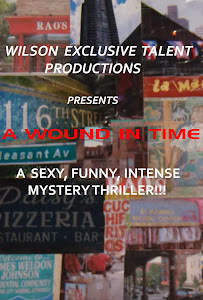 A WOUND IN TIME: EL BARRIO FLAVA! I had a wonderful time uptown in Spanish Harlem Saturday given by the Caribbean Cultural Center for the launch of their new app. There was food and great entertainment that represented the soul and vibrancy of Old Skool Spanish Harlem. I plan on capturing the excitement of both communities in East Harlem; Spanish and Italian. Check out this video from the evening! Enjoy! Los Plenaros de la 21 is the premier music group of Afro-Puerto Rican Bomba & Plena music in the U.S.